Life is about choices. Mr. DePold says in his book that people used to call him a “functional alcoholic” which according to him is someone who is drunk all the time, but gets through life. Everyone knows you’re a drunk… even you know, but because you are “making it” in life, denial can set in. You can chose to stay in that lifestyle or to get out. I think this book is inspirational. 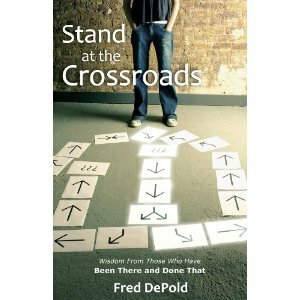 Mr. Depold obviously has written a handbook to help people break the cycle of addictions. He says don’t let sin ruin your life. Make radical changes to see a difference. He does not just say the words though. He is offering a book to guide you and start you on your journey. Every chapter offers “important points” highlighting what you’ve just read. There are also spots for personal reflections and asking yourself important questions to see where you are at. His advice is clear, practical and above all Biblical. There is an important chapter called “The Thirty Day Challenge” where you are guided for 30 days to try something new in life. To let old habits die. To let God take charge of your life. The last section in the book is called “Tools for your new life…” more info, advice and encouragement for the journey. Try the book. Take the first step.